The Texas Stars are proud to announce that Derek Hulak has been named the team’s winner of the IOA/American Specialty AHL Man of the Year award for his outstanding contributions to the Central Texas community during the 2014-15 season. Hulak, 25 and in his first full professional season with Texas, has dedicated himself to the team's charitable efforts in an effort to make a difference in the lives of Stars fans, the community and military families in Central Texas. He leads the Stars in community appearances, ranging from school visits to season ticket holder autograph sessions to public events at local businesses. 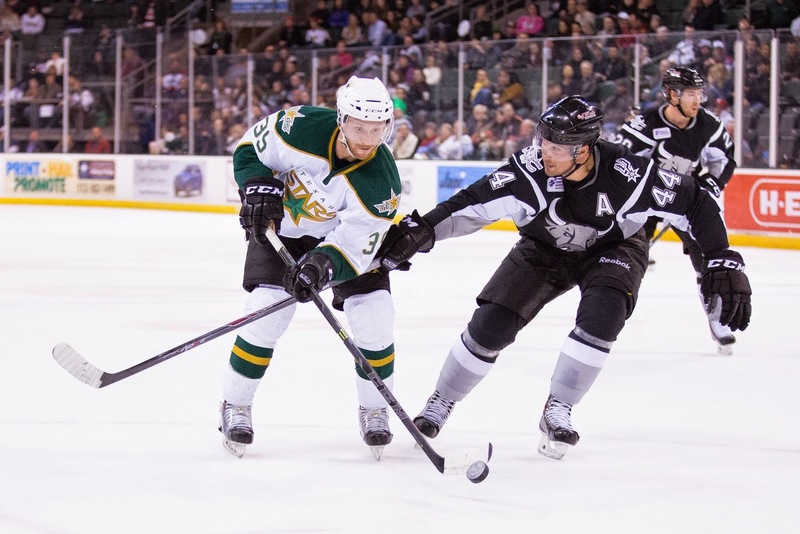 Along with his teammates, Hulak has contributed to the success of the Texas Stars Foundation by participating in its signature events this year, including Casino Night and Bowling with the Stars. Proceeds from his game-worn jerseys during the Stars’ three specialty weekends have also helped the Foundation’s fundraising efforts, with his Pink in the Rink jersey selling for the highest amount on the team. The Stars rookie has also demonstrated a willingness to share his personal story to help raise awareness and funds for cancer causes. In support of the Stars’ Pink in the Rink Weekend, presented by Cedar Park Regional Medical Center and benefiting Breast Cancer Resource Centers of Texas, Hulak spoke to the media about losing his mother to breast cancer seven years ago. His story helped the Foundation increase the money raised for BCRC, surpassing last year’s record total. Earlier in the season, Hulak wore a sticker on his helmet in support of Cody “Marty” Smuk, a former college hockey teammate who is battling cancer, to bring more awareness to the fight against cancer. Hulak is now one of 30 finalists for the AHL’s 2014-15 Yanick Dupre Memorial Award, honoring the overall IOA/American Specialty AHL Man of the Year. The league award is named after the former Hershey Bears forward and AHL All-Star who died in 1997 following a 16-month battle with leukemia. The winner of the Yanick Dupre Memorial Award will be announced by the American Hockey League later this month.